There is a wide variety of culture and festivals in Jerusalem that knowing them is like studying the Quran and Old Testament themselves. While in Jerusalem, you get an air of spirituality and ancestry like no other. The most obvious religious observation is the keeping of the Sabbath, which happens every week. Nothing happens on this day since it is the official day of rest. Majority of establishments and transportation are closed for work from Friday evening to Saturday night. 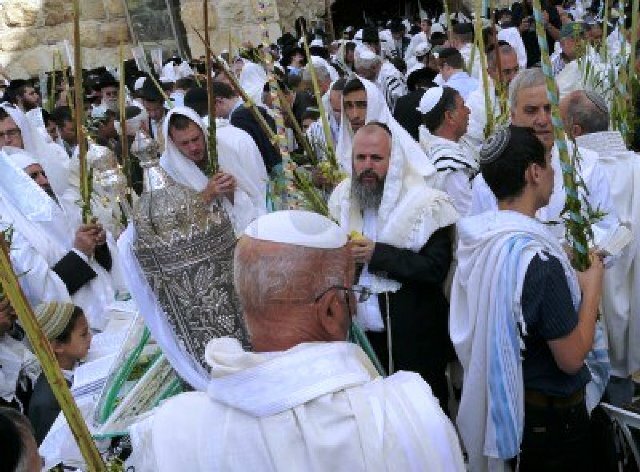 For the bigger celebrations and traditional observances, some of the most popular ones are Yom Kippur, Easter, Feast of the Tabernacles, and Ramadan. Jerusalem comes to a standstill on Yom Kippur or the Day of Atonement since this is easily the holiest and most important day in Judaism. Synagogues are full-packed as even the less devout Jews make it a point to go to the synagogues. The devout ones spend the entire day from midnight to midnight in intense prayer and fasting. Yom Kippur takes place on the 10th day of Tishri, which translates sometime in late September to early October depending on the Jewish Lunar calendar. Yom Kippur is celebrated by Jews all over the world. Easter, on the other hand, is one of the most important Christian events of the year. In March, Christians of all sorts of denomination flock to attend the services at the Church of the Holy Sepulcher. This ancient religious structure is believed to house Golgotha, the place where Christ was crucified. It is also said to mark Christ’s sepulcher or the place where he was buried. Easter is celebrated by Christians all over the world. And there’s the Feast of the Tabernacles or Sukkot in October. This is a happy day for the Jews as they celebrate the year’s harvest. The name of the feast pertains to a time in the Old Testament when the Jews lived in tabernacles or tents after they were delivered from Egypt. It is an 8-day celebration, which begins and ends as an official holiday. Devotees line up to the Holy Temple for prayers and offerings. Finally, the Ramadan takes place in November and is clearly the most important festival in Islam. It is a month-long observation in which Muslims cleanse themselves by abstaining from food during the day and avoiding other worldly pleasures. Jerusalem’s Old City is always crowded with tourists but the crowd doubles during the Ramadan as thousands of devotees try to make their way to the Temple Mount. Ramadan is celebrated by Muslims all over the world. When in Jerusalem, there’s no escaping the Old City. This is the place to go. It is also where most of the culture and festivals in Jerusalem take place since it is here where you can find the Church of the Holy Sepulcher for Christians, the Temple Mount for Muslims and the Western Wall for the Jews. Jerusalem is, of course, the birth place of Christianity, Islam and Judaism. Other unique festivities for you to enjoy and experience in the city throughout the year are Jerusalem Day, Shushan Purim, Passover, Rosh Hashana (Jewish New Year), Shavuot (Festival of Weeks), Channukah, and Christmas Day.